"Nav-Reach" is new starting 2003. 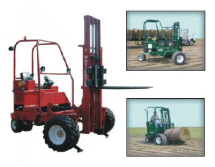 This option allows an operator to unload a truck or trailer from one side. In many situations it is impossible for an operator to park where both sides of the truck or trailer are accessible. 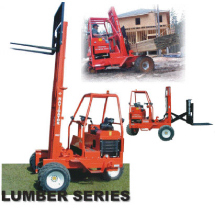 This causes the operator to have to unload a portion of the truck and then reposition the truck. 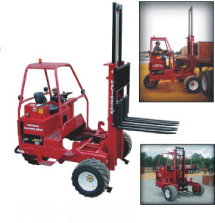 The ability to reach across the truck/trailer allows the operator to position the load on the side of the truck/trailer, so he is able to lift it using the normal function of the forklift.